Dark energy is perhaps the least understood aspect of modern cosmology. We first obtained evidence of its existence via the 1998 discovery that the universe is not only expanding (which we’ve long known), but that the rate of expansion is accelerating. This was done by observing the redshifts of distant supernovae, and won the discovers a Nobel prize. Since then observations of the cosmic microwave background have found that dark energy makes up about 70% of the matter-energy in the universe. This is consistent with observations of acceleration. So we see evidence of dark energy from multiple observations, and it has a real and fundamental effect on the structure and evolution of our universe, but we have no idea what it is. There are, however, several theoretical proposals. Two of the most popular are the cosmological constant model and the scalar field model. The cosmological constant model proposes that dark energy is a property of space and time itself. The idea was first proposed by Einstein to allow for a steady-state universe. When the universe was found to be expanding, Einstein discarded the idea, considering it his greatest blunder. The model was revived when it was demonstrated that the universe is accelerating. Instead of simply balancing the attraction of gravity, the cosmological constant acts as a repulsive force to drive galaxies apart. The scalar field model proposes that space is permeated by some kind of energy field. The most popular field is known as quintessence, but there are other variations as well. 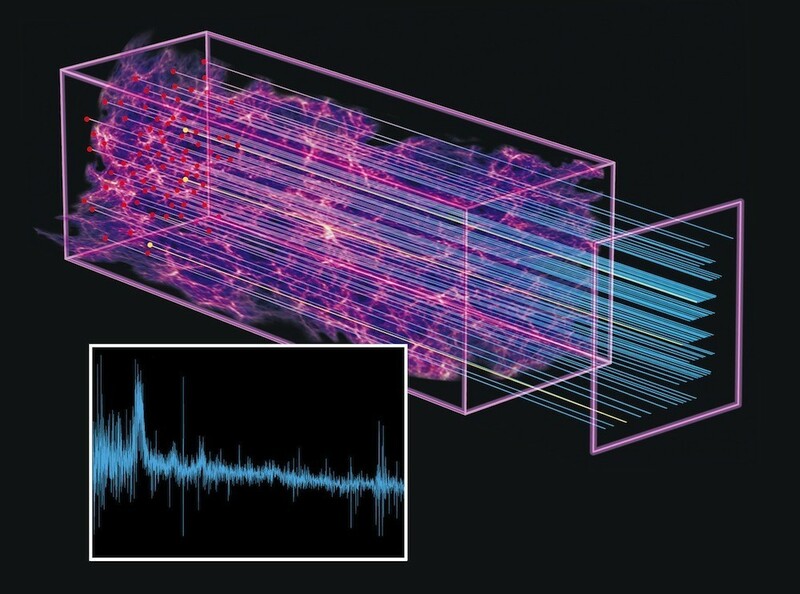 This “dark energy” field drives the accelerating expansion of the universe. The main difference between these two models is that the scalar field models allow for the strength of dark energy to vary in time and space. Since dark energy is a dynamic energy field, it can change and shift over time. The cosmological constant, on the other hand, requires that cosmic acceleration must be constant. Since the cosmological constant is an inherent property of space-time, it cannot vary. Until recently, there hasn’t been enough observational data to distinguish between the two models. We know that the universe is accelerating, but we haven’t been able to determine the rate of this acceleration over time. But recently the Baryon Oscillation Spectroscopic Survey (BOSS) team has observed the effects of dark energy over the longest cosmological period thus far. Our current universe is dominated by dark energy. The matter and dark matter of galaxies and clusters are so widely dispersed that their gravity is not strong enough to overcome the repulsion of dark energy. This is why the current universe expands at an ever increasing rate. In the early universe, however, matter was more densely packed, and its gravity was strong enough to overcome dark energy. In this early period, the universe was expanding, but the rate of expansion was decreasing. About 5 billion years ago, the population density of galaxies dropped to the point where the universe transitioned from a decelerating universe to an accelerating one. Measuring this transition period is critical to determining whether dark energy is constant. 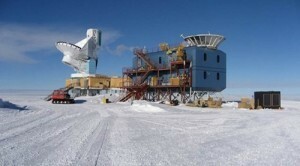 The BOSS team observed the spectra of light from more than 48,000 distant quasars. The space between us and the quasars is not empty, but contains thin wisps of hydrogen gas, and this hydrogen absorbs some of the light from the quasars. By observing the quasar spectra, the team could determine the amount of hydrogen between us and the quasar. Since the quasars all lie at different distances from us, and in different locations in the sky, the team could create a map of the distribution of hydrogen from the early universe to now, as you can see in the figure below. By comparing the hydrogen distribution at various times, they could determine if dark energy has distorted this distribution over time. If dark energy has varied in space and time, then the hydrogen distribution would develop clumps and voids consistent with that variation. If instead dark energy is constant, then any hydrogen clumping would be solely due to the gravitational pull of matter in the universe. These observations went as far back as 10 billion years ago, long before the transition period of the universe where the dark energy variation would be most noticeable. What the team found was that over that period dark energy remained surprisingly constant. This doesn’t completely disprove the scalar field models, but it lends support to the cosmological constant model. This is encouraging, because the cosmological constant is more theoretically simple than the scalar field models. So it would seem that the simplest cosmological model is supported by the evidence. Of course this is just the first step in understanding dark energy. Even if we confirm it as a cosmological constant, that still doesn’t explain how the constant has a small but non-zero value. There is also the nature of dark matter, which remains to be fully determined, and we may find a connection between the two down the line. But for now we have solid evidence that the cosmological constant is at least a good description of dark energy. That in itself is pretty boss. I’m interested in this subject but also ignorant once things get very technical. However, from what I have seen is this perhaps a 5th fundamental force? Longer range than gravity and stronger than gravity but works only on the fabric of space and time? That is one idea. Another is that cosmic inflation is simply a property of space and time. The cosmological constant as a property of space-time seems valid and in opposition of gravity which is a property of space-time. Space-time is compressed in the presence of matter and inertia is impacted with an attractive force between matter and we call this gravity. Space-time is expanded in the absence of matter and inertia is impacted with a repulsive force between matter and we call this the cosmological constant. About the BOSS project, wouldn’t dark matter cause hydrogen clumping all by itself and wouldn’t that make interpreting measurements difficult or impossible? No, because it’s not just that clumping occurs, it’s the scale at which it occurs, and we can look at that statistically.